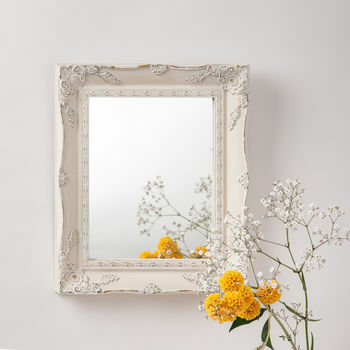 A gorgeous hand painted and finished vintage mirror in Farrow and Ball Lime white with a wax finish and gold highlightsto create light and space. 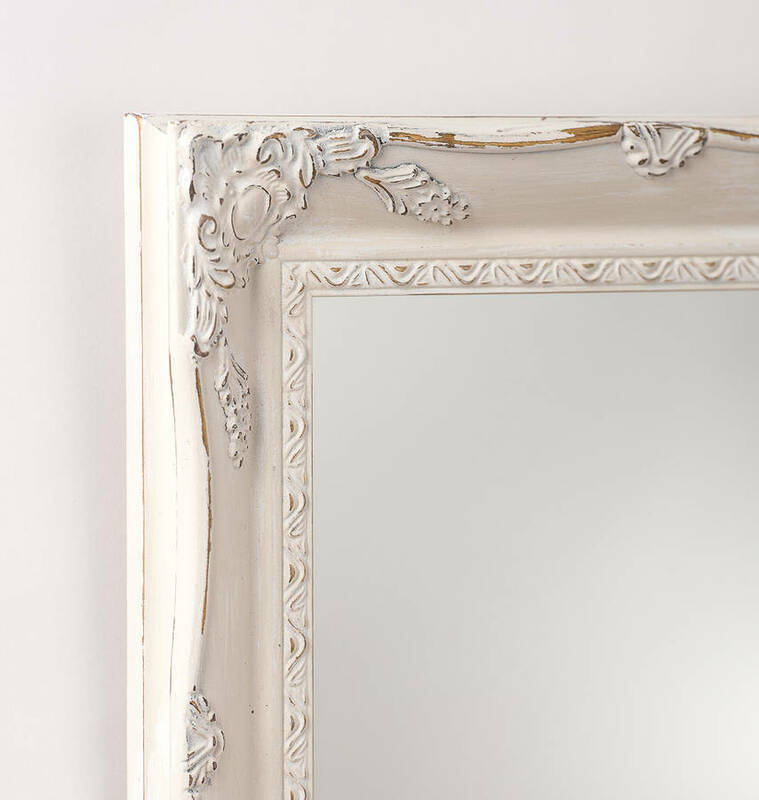 A stunning French style mirror, hand painted in cream and white Farrow and Ball paint and distressed with an ornate swept style frame. This is a beautiful classic style mirror. It features the swept style frame that has been a traditional staple of interior design for centuries. The fluid curved lines of the wooden frame accentuate the intricate corner detail; the edges then curve and curl around to create an elegant shape which is highlighted by a central carved decorative relief. 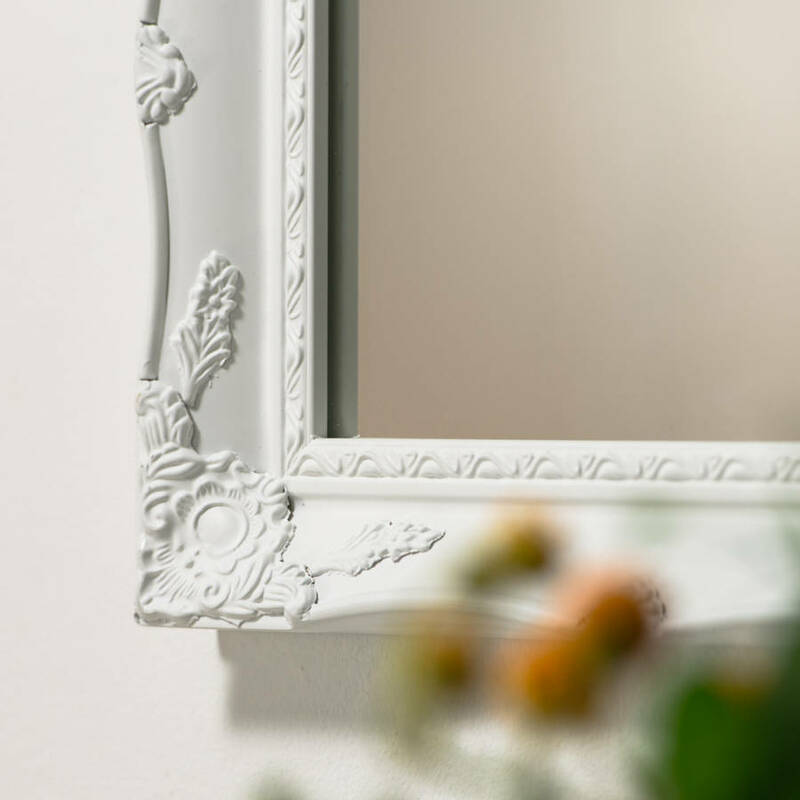 This frame is a slimmer version of the traditional thicker swept frame allowing for a more classic and contemporary look, the proportions of this mirror highlight the space and light within a room without dominating it. 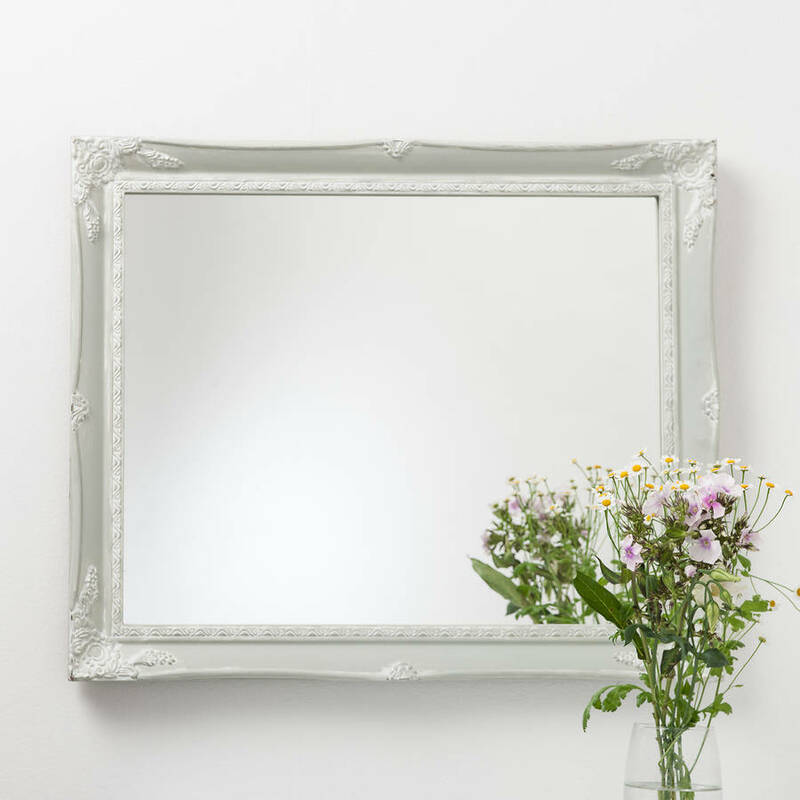 This stunning mirror is available in many sizes and can be painted to your colour specifications. Should you wish to have a different colour finish then please contact me for a quote via the 'ask seller a question' button. The Farrow and Ball colours are applied over a white base coat to maximise the detail in the frame and to create an authentic vintage shabby chic finish. 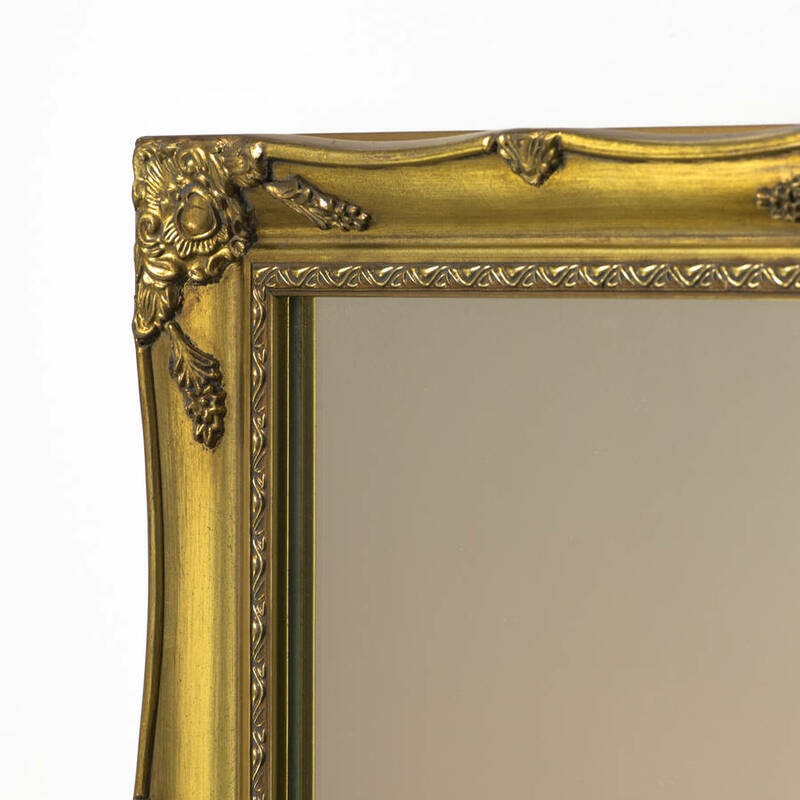 The mirror is available in Antique gold. 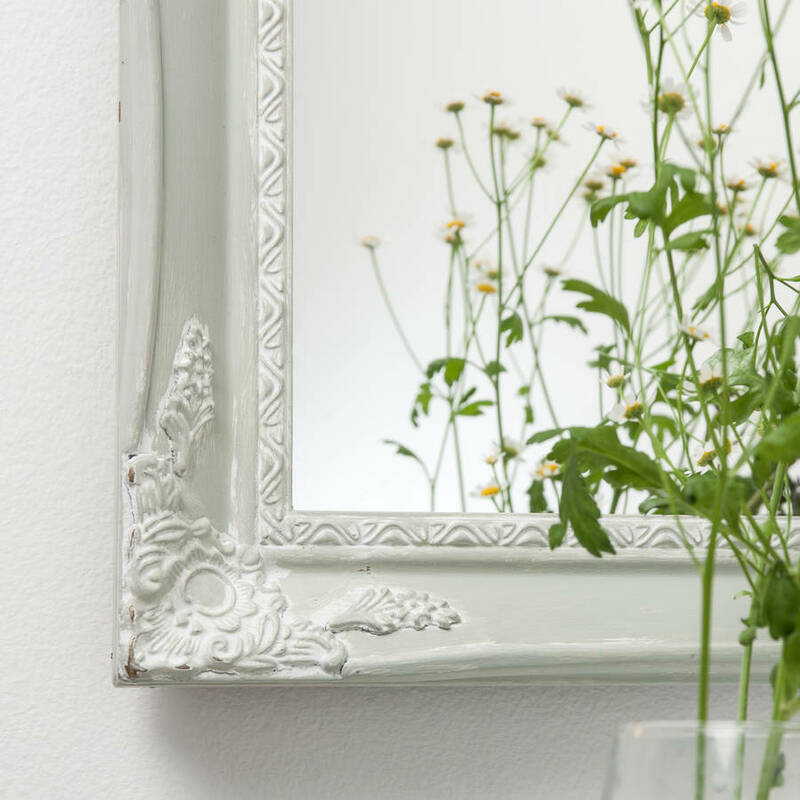 The mirror itself is top quality Pilkington’s glass which is renowned for being the best type of mirror you can buy. The board that holds it in place is high quality hardboard which is taped in with Framers tape and brads are fired by hand to hold the board securely in place. The frame is a solid wood superstructure with some areas being carved wood and the more decorative sections are made of plaster and plaster composite.